This past week Malaysia Airlines flight 370 disappeared with 239 passengers and crew members. While the search continues in both the Indian Ocean and the waters between Malaysia and Vietnam, friends and family members from 14 different nationalities are desperately seeking news about love ones aboard the plane: whole families, mothers, fathers and children. Because of all the death and destruction in Syria, thousands and thousands of adults and children are homeless, hungry and desperately sick. The Ukraine, Egypt, Sudan and Tunisia have also witnessed the horrors of war and terrorism. In many African countries hundreds of thousands are in refugee camps. Others have no food and shelter and can’t last indefinitely. Nature’s destructive forces such as earthquakes, freezing weather, tornados and hurricanes have relentlessly killed many men, women and children in its path, in the U.S. and elsewhere around the world. There seems to be no end to all this. We can pray. We can show our love and compassion to those in need. We can help out by offering our skills to organizations that bring hope to many. But to those on Malaysia Airlines, all we can do now is to let friends and family know they will get through this; that the healing process is not quick or painless, that their God, whoever that may be, is there for them in times of sorrow and to comfort. It helps to understand the five stages of grief: denial, anger, bargaining, taking control and acceptance. Not everyone goes through the stages the same way or in the same time frame, but understanding the stages helps the grieving understand their feelings and seek guidance when necessary. 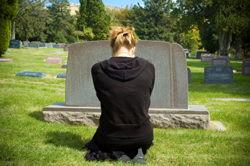 Asking why or how when a loved one dies is not helpful in allowing us to move forward. There is no rhyme or reason to life. I do believe everything has a reason for happening, even though you may not know for years or perhaps forever, what that reason is. It took many years for me to understand my personal tragedy, but I believe I now do. There are many resources, books, counselors, clergy, and organizations that these relatives of flight 370 can use to help them move on with their lives. I sincerely hope those involved in these different walks of life will reach out to those with families and friends on this flight and to others around the world in need of help.